Orion TV offers free satellite TV. 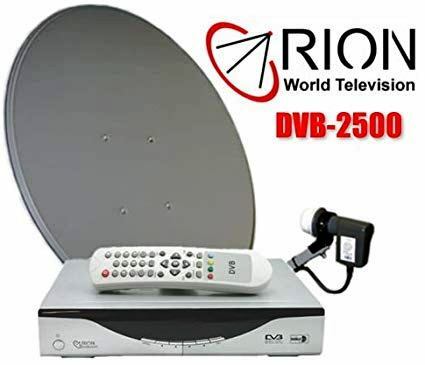 The Russian DTH operator Orion has started to offer free satellite TV services in parts of the Republic of Sakha (Yakutia). More specifically, Telecard, both new and existing, is providing a brand used by the company. Subscribers with a social package consisting of more than 35 must carry public channels distributed by the first and the second multiplex. Initially, it is planned to offer the channels to more than 55,000 residents of the Republic of Sakha, which by area is the largest part of the Russian Federation. Orion is the largest satellite media platform in Russia and the CIS. Today, Orion offers a single, full-service platform for broadcasters and cable operators, from creating the concept of a new television channel to broadcasting to viewers across Russia. Your content will be instantly available to pay TV providers in Russia, the CIS, and the Baltic countries, as well as to the subscribers of our own Telekarta satellite TV platform. Orion offers the distribution of a TV signal throughout the territory of Russia and the CIS using its own satellite platform. Thanks to the three satellites of the platform: Intelsat 15, Horizons 2 (Intelsat Ltd.) Express AM5, the signal can be delivered instantaneously anywhere in Russia and the CIS countries, and can also be transferred to all operators of cable. All the nodes of the platform are connected by ground-based communication channels. Orion is constantly developing joint projects with the largest holdings of national and international media. Today, among the key partners of the Orion Group of Companies are recognized leaders of the global and Russian media market such as Discovery Communications, Viasat World, Viacom, Sony Pictures Television, SPI International, STS Media and UTV Holding.